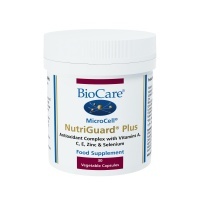 BioCare MicroCell NutriGuard Plus provides a mix of powerful Nutritional Supplements & Antioxidants to help protect the body from damge caused by free radicals. 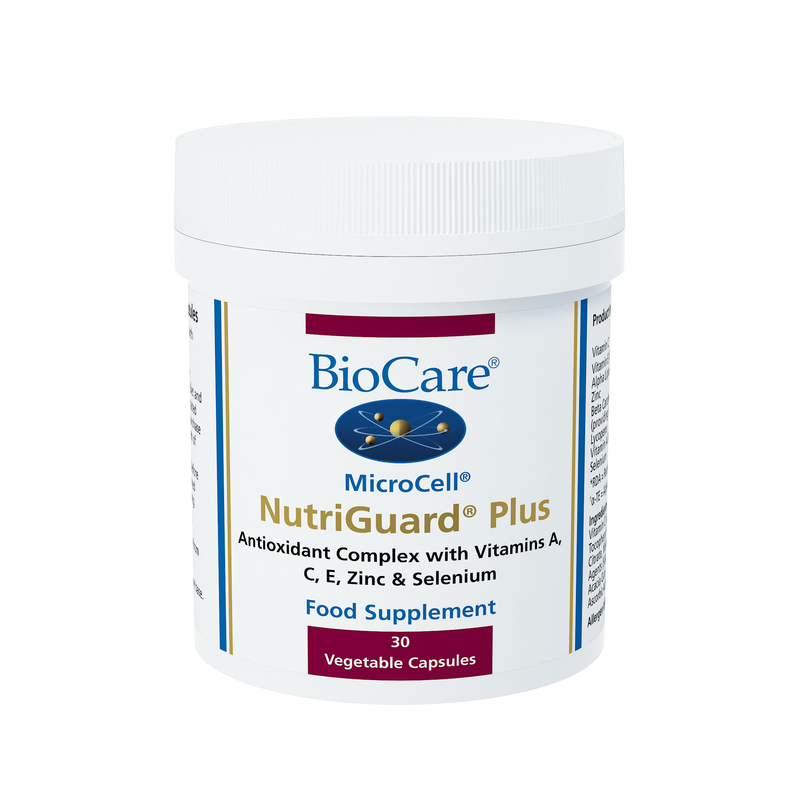 MicroCell NutriGuard® Plus provides a broad range of antioxidant nutrients to help support the immune system, cardiovascular system, skin and other tissues. 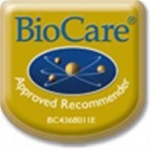 Vitamin C (as Ascorbic Acid), Silicon Dioxide, Vitamin E (as D-Alpha Tocopheryl Acetate)1, Alpha Lipoic Acid, Modified Corn Starch, Zinc Citrate, Modified Tapioca Starch, Soya Oil, Olive Oil, Anti-Caking Agents (Silicon Dioxide & Magnesium Stearate), Beta Carotene, Acacia Gum, Lycopene, Vitamin A (as Retinyl Palmitate), Antioxidants (Natural Mixed Tocopherols1, Ascorbic Acid & Ascorbyl Palmitate), Sodium Selenite, Sunflower Oil.